Evan Richman's practice includes real estate litigation, professional liability defense, the defense of Directors and Officers, insurance coverage, and civil and commercial litigation. Many of Evan's cases involve representation of condominiums, cooperatives, and their Boards of Managers/Directors in a wide variety of litigation matters in state and federal court. He has litigated claims pertaining to breaches of the Proprietary Lease and By-Laws; maintenance and assessment issues; tenant-shareholder relations; breach of fiduciary duty issues; and unauthorized alterations. He has also defended against many discrimination claims asserted against condominium and co-op Boards and their property managers in the New York State Division of Human Rights and the New York City Commission on Human Rights. Evan is also heavily involved in defending professional liability claims asserted against lawyers, accountants, insurance agents, real estate agents, and other professionals. He has defended against various complex legal malpractice claims arising from a wide array of underlying matters, including those pertaining to commercial litigation, real estate, personal injury, family law, and transactional matters. 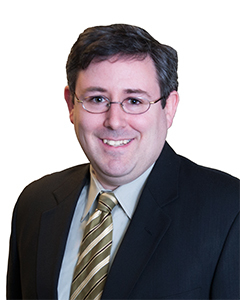 He also handles insurance coverage and commercial litigation matters at both the trial and appellate levels.